Evidence suggests that people feel safer at night in well-lit public places, when they can see everything around them. That’s exactly what the security lights we offer provide. 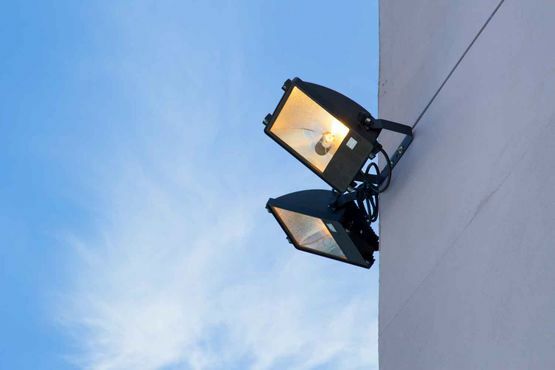 Based in Darlington, County Durham, our seasoned professionals install external lighting solutions that offer the peace of mind that comes from knowing what’s going on in the garden, or at the front door, late at night. NJS Limited supplies and installs a manual and automatic security lighting for homes, offices, and gardens. These provide a welcome home light, or improve the security of your property. LED fittings are used whenever possible, as they are cost-effective, reliable, and extremely low-maintenance. In fact, they feature an expected lifespan of 30,000 – 50,000 hours. CONTACT US TODAY, in Darlington, County Durham, for a free survey and quotation on our security lights and external lighting.